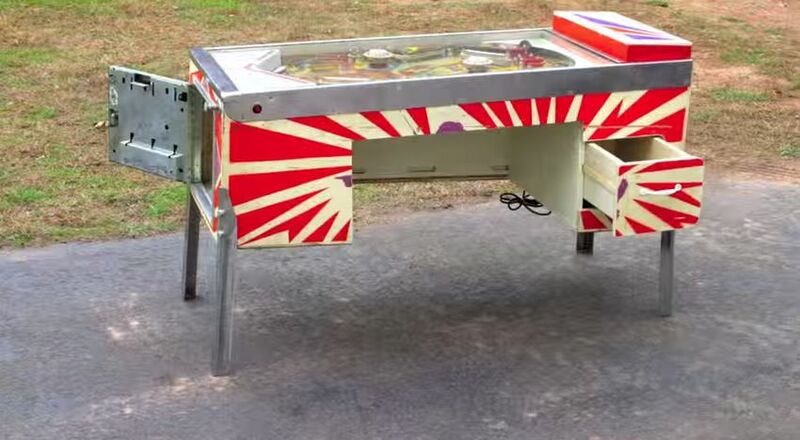 Turning a pinball machine table into a desk is only allowed if the pinball table in question is dead. I mean totally, completely dead. Not MOSTLY dead. ALL dead. Besides, your “desk” would still be sort of crooked, because pinball games are slanted. So, there’s that. i turn a late 1970s charlie’s angel’s pinball machine in to a desk. it lights up, has a drawer, a built-in safe (thanks to the coin deposit) and tons of awesomeness.